Clark, Love & Hutson is a nationally recognized law firm dedicated to helping victims of corporate negligence and malfeasance. Based in Houston, Texas, the firm represents clients from coast to coast with uncompromising integrity and aggressiveness. Our attorneys have significant experience across a wide range of civil litigations, most notably in the areas of pharmaceutical and medical device litigation, commercial litigation, class actions and first-party insurance disputes. As liaison and lead counsel in mass torts nationally, the firm has a proven track record of winning substantial verdicts for our clients, and has been at the forefront of numerous complex negotiated settlements including Paxil, Fen-Phen, Zyprexa, Trasylol, the BP plant explosion in Texas City, hurricane litigation and other commercial matters. Over the course of the last several years, Clark, Love & Hutson has obtained settlements and verdicts of more than $1.5 billion on behalf of our clients. 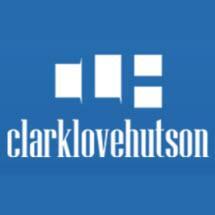 Why Clark, Love & Hutson? Our firm philosophy is quite simple: Lead with aggressive tenacity. Our approach to each of our litigations is to lead the way. As lead trial counsel and national coordinating counsel in high profile and high stakes litigation, our firm has become a significant force with national reach. By leading the way, our firm is able to chart a course through complex litigation which we believe gives each of our clients the best chance at winning their case. By trying the bellwether cases, not only are we able to obtain significant verdicts, we also remain in a superior negotiating position when a drug maker, device manufacturer, or insurance company seeks to resolve outstanding claims. While others may sit on the sidelines as the litigation develops, with resolute determination Clark, Love & Hutson looks to influence the outcome of each individual case and distinguish our cases on a national level, both in terms of personal representation and results. As trial lawyers, we know our clients, understand how their lives have been changed, share in the risk prosecuting each claim, and seek to improve the lives of the individuals we represent each and every day. Ultimately, through utilization of our extensive experience, aggressive philosophy, disciplined skill, and unmatched resources, our clients receive the zealous representation that people harmed by the negligence of others deserve.